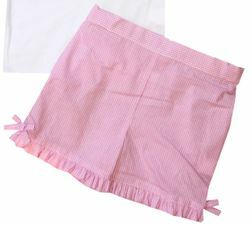 Here we have Claire & Charlie's adorable smocked big sister white shirt and matching light pink gingham shorts. 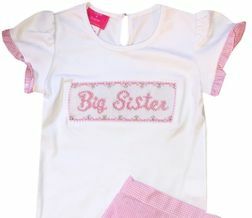 The smocking is trimmed in light pink gingham and is hand embroidered with the phrase "Big Sister" in pink to match. 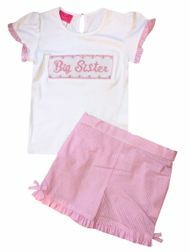 Compliments our "Big Brother" shirt and outfit. 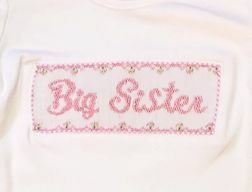 Perfect for them to wear when mom has a new baby!